Connect with your audience and drive sales using our seamless newsletter integrations. 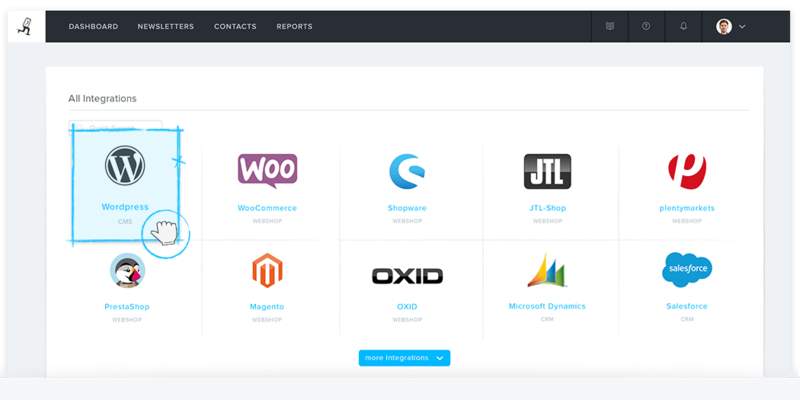 We’ve got newsletter plug-ins for e-commerce, CRM and CMS tools – so you can easily combine all your favorite platforms. Newsletter plug-ins are quick and easy to install, and make staying in touch with your customers a breeze. Synchronize your recipients, import products from your store and customize your content with Newsletter2Go’s free extensions. Use our API and take advantage of our high-performance email dispatch infrastructure – or integrate Newsletter2Go’s powerful technology with your own online service. Check out our API documentation center and some example implementations. Can’t find your system? Do you use an e-commerce platform or CMS that our newsletter plug-ins don’t currently support? No problem. You can use our custom newsletter plug-ins instead. Make the most of our handy features, such as 1-click product transfer to import products from your online shop straight into your newsletter. Just order a premium newsletter template and we’ll hand-code it for you. With 1-click product transfer, you can create professional email newsletters in minutes. Import product photos, descriptions and prices from your online store straight into your newsletter – in just one click. Simply enter the product ID and our software will fill in the product details automatically. Save time and drive sales with our many newsletter extensions. Transfer content from your website or blog into a newsletter. No need to copy/paste or write your content from scratch; use 1-click content transfer to create compelling marketing emails in no time. Engage your audience whilst keeping manual effort to a minimum. Thanks to Newsletter2Go’s wide range of plug-ins, keeping your address book up to date has never been easier. Seamlessly integrate your existing customer database with the Newsletter2Go software. Your contacts will be automatically synchronized on a daily basis, so you don’t need to worry about updating each address book individually. Do you have multiple contact lists across different platforms? With Newsletter2Go, you can manage recipients from each system centrally. You can also take product data from each system and include it in your newsletter. No matter how many different platforms you use, Newsletter2Go’s plug-ins keep email marketing simple. With the Newsletter2Go Afterbuy plug-in, you can automatically synchronize all of your recipient addresses. You can also import product information, photos, and prices directly into your newsletter with only 1 click. The Newsletter2Go commerce:seo plug-in harmonizes your recipient data and optimizes your email marketing strategies. Use the 1-click product transfer in combination with personalized newsletter templates. The Gambio plug-in synchronizes your newsletter recipients securely and automatically. 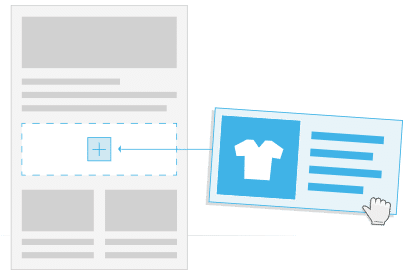 Use the 1-click product transfer in conjunction with personalized and fully customizable newsletter templates. Newsletter2Go is a certified partner of JTL Shop3. Your newsletter recipient list is updated daily with this newsletter plug-in and is automatically synchronized. Use the 1-click product transfer to design your newsletter with ease. With the Lightspeed Newsletter2Go app, it’s easy to connect your Lightspeed Account with Newsletter2Go. Send professional trigger campaigns, use the 1-click product transfer, as well as automatic recipient synchronization. Synchronize your address book with the Newsletter2Go Magento plug-in. Use the 1-click product transfer to import product information, photos, and prices with this newsletter plug-in. With the Newsletter2Go OpenCart plug-in, you can automatically synchronize all of your recipient addresses. This newsletter plug-in allows you to import product information, photos, and prices directly into your newsletter with only 1 click. Use the osCommerce extension to fully automatize the synchronization of your newsletter recipients. Take advantage of the practical 1-click product transfer function and order your own personalized and fully customizable newsletter templates. The Newsletter2Go plentymarkets plug-in supports lifecycle email marketing by synchronizing recipient data, including past orders and personal details. You can also use the 1-click product transfer with individual templates. Newsletter2Go is an official partner of Oxid eSales. Recipient addresses and contact information is updated daily, and don’t forget to take advantage of the 1-click product transfer in combination with a personalized newsletter template with this newsletter plug-in. With the Newsletter2Go PrestaShop Module, you can use the powerful 1-click product transfer function to import your products and information directly into your newsletter. This powerful newsletter plug-in enables you to fully automate the synchronization of your recipient address book to ensure that only the right people receive your newsletter. Use the Shopify extension to fully automatize the synchronization of your Shopify newsletter recipients. Take advantage of the practical 1-click product transfer function, and order your own personalized and fully customizable newsletter templates. The Newsletter2Go Shopware AG plug-in synchronizes your recipient addresses daily. Take advantage of the practical 1-click product transfer in combination with your personalized newsletter template. With the WooCommerce Newsletter2Go App, it’s easy to connect your WooCommerce account with Newsletter2Go. Use professional trigger-mailings, the 1-click product transfer, as well as automatic recipient control with this newsletter plug-in. Newsletter2Go is a certified partner of xt:Commerce. Synchronize your address book and use the 1-click product transfer together with personalized newsletter template designs. The Zen Cart newsletter plug-in fully synchronizes and automates your Newsletter recipient lists. Don’t forget to take advantage of the 1-click product transfer functionality to increase the success of your email marketing campaign. Import all of the contacts from your CentralStation CRM system into the Newsletter2Go platform. Create your own unique dynamic groups or import groups from CentralStation CRM. The integrated interface with cobra CRM allows you to synchronize your contacts without having to input everything manually. Save time and never worry about sending duplicate newsletters. The direct interface between Newsletter2Go and Microsoft Dynamics CRM enables you to automatically import your contacts into your Newsletter2Go account. Efficient, powerful, and easy to use newsletter plug-in. With the connection to the Salesforce CRM, your contacts are automatically synchronized. You never need to update your contact lists within your Newsletter2Go account: simple as that. This newsletter extension allows you to automatically update your contact lists and ensure that customers never receive duplicate emails, and that no customer ever falls through the cracks. Empower your newsletters with the Sugar CRM solution. It’s simple to import content from your Contao account into the newsletter. 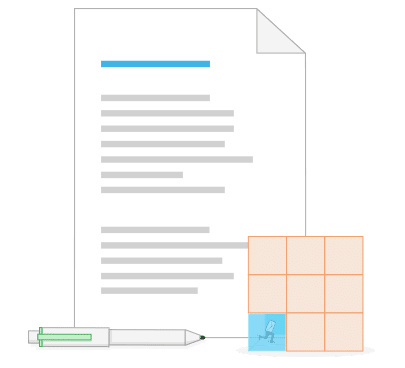 You can also easily import pictures and images into newsletters, making it possible to create effective newsletters in minutes with this newsletter plug-in. The connection with Drupal enables content from Drupal websites to be transferred simply to Newsletter2Go. No need to copy and paste any more. Use the Joomla plug-in to easily upload content from your Joomla website into your newsletters. Your contact lists are also synchronized daily with the Joomla newsletter extension. Use the WordPress plug-in to transfer content from your WordPress website into your newsletter. Newsletter recipients are also synchronized daily with this newsletter plug-in. With the Newsletter2Go email marketing software, you already have a world of tracking options at your feet. You can also activate third party tracking (Google Analytics and econda) – simply connect your accounts and enable tracking in just one click. Register for free today and make the most of Newsletter2Go’s functions and plug-ins. 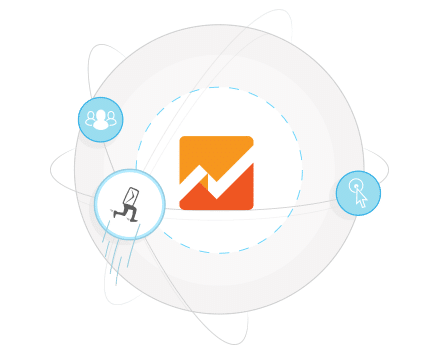 Measure the success of your email marketing campaigns with Google Analytics Tracking. Seamlessly combine your Google Analytics account with your Newsletter2Go profile and know exactly how your emails are performing. Newsletter2Go is also a partner of econda – a powerful web analytics tool. With the Newsletter2Go econda plug-in, you can easily combine email marketing and web analytics for detailed performance tracking. Keep on top of your campaigns and optimize for success. You’re working with a system that is not yet supported? No problem. You can still use Newsletter2Go’s smart tools and functions with a custom interface. With the high-performance REST API, you can use our newsletter infrastructure to send high-impact email campaigns. Take advantage of whitelisted email dispatch and advanced analytics with Newsletter2Go. Combine our high-performance sending infrastructure with your own web service. Check out our API documentation and example implementations to get you started. Here you can find an overview of the systems that are supported by Newsletter2Go with various newsletter plug-ins. If your system is not currently supported, please do not hesitate to let us know. Integrate the 1-click product transfer feature into your e-commerce system – all you need is a custom interface. In combination with premium newsletter templates, this enables you to transfer product photos, details and prices straight to your newsletter. Even small e-commerce stores can benefit from high-impact email marketing.